What does the latest study eggs-actly mean? JAMA recently gave eggs a beating and I think the facts are a bit scrambled. This study poached from 6 different cohorts with a total of 29,615 people for 17 years. The trouble is the diet input only happened at the beginning! This eggs-cludes any changes in diet. It eggs-pected folks to accurately report on what they ate. I can’t get my clients to recall what they ate last night without a food journal, so for this study to expect that this group would be able recall it accurately is eggs-aspirating! What else was served with the eggs? Most folks have white toast and bacon plus cream and sugar in a coffee along with those eggs. So, could it be guilt by eggs-ociation? 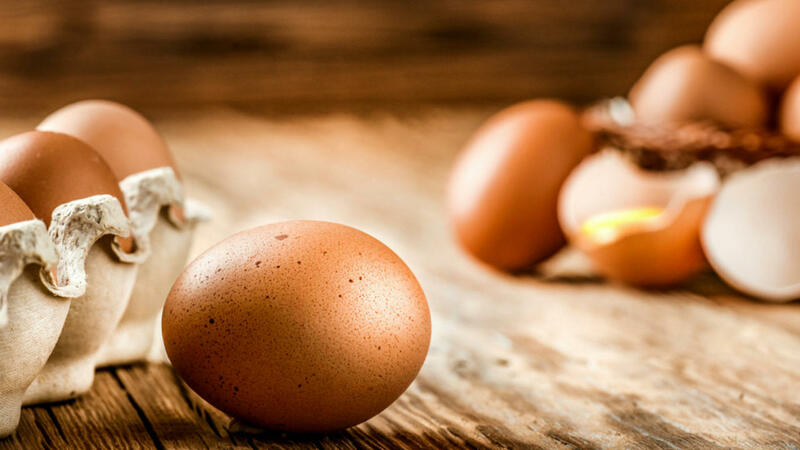 Moreover, the study did not take into account the quality of the eggs or how they were prepared, which can make all the difference for nutritional impact. Be sure to watch me this week on The Marilyn Denis Show as I share the healthiest way to prepare these eggs-ceptional nutritional gems! As a Ukrainian, my grandmother gifted me many perfectly painted eggs at Easter and explain they were a symbol of rebirth. Whether it's the Jewish tradition of eating salted eggs during Passover or the pagan tradition of gifting eggs in celebration of Spring, the egg has been honoured for 1000s of years. So, why have eggs been touted as the villain in the prevailing war on cholesterol? 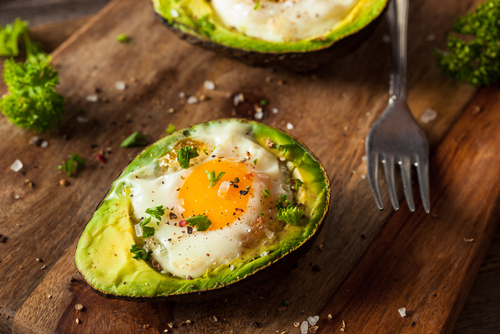 While true that the yolk of an egg contains a considerable amount of cholesterol and lipids, this is not what causes cholesterol problems in your body! With an active lifestyle, don't fear eating eggs. We have decades of clinical research demonstrating no link between egg consumption and an increased risk of heart disease! Despite popular belief, eggs are actually a low-calorie food – about 80 calories each. The yolk of an egg contains a considerable amount of cholesterol and lipids, yet cholesterol build-up in arteries actually begins with arterial wall damage. As your body repairs arterial wall damage, it eventually leads to a waxy build-up — usually due to high blood sugar, not the consumption of cholesterol itself. I have eaten 4 - 6 eggs a week for as long as I can remember, and according to my last medical check-up, my cholesterol was perfect. The danger is not the cholesterol itself; the danger is the cooking method. Eggs should be avoided if you suffer from gallbladder issues. Cholesterol forms crystals in your gallbladder which, in turn, may become gallstones. Symptoms include pain in your upper right abdomen, gas, nausea, abdominal discomfort after meals, chronic diarrhea or constipation and fatigue after rich meals. Clinical research has shown that eggs can cause gallstone attacks after consumption, making eggs one of the major foods that should be avoided if you have gallstone disease. 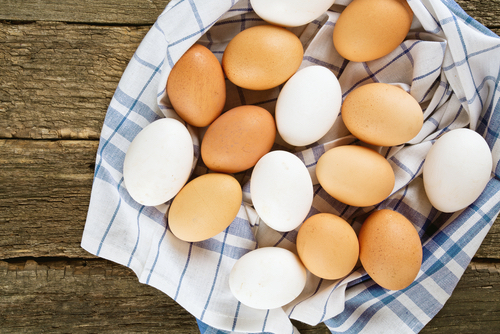 Is there a nutritional difference between brown eggs and white eggs? No! The colour of the hen determines the colour of the egg. Brown-feathered hens with red lobes lay brown eggs, and white-feathered hens with white lobes lay white eggs. The American Egg Board says there is no conclusive research that one colour is nutritionally better than the other. 1. Eggs can prevent macular degeneration. 2. Egg yolks have Vitamin D.
3. Eggs help keep your appetite in check. 4. Eggs are high in antioxidants. 5. Eggs are rich in brain-building choline. Are you ready to bring eggs back to your table? 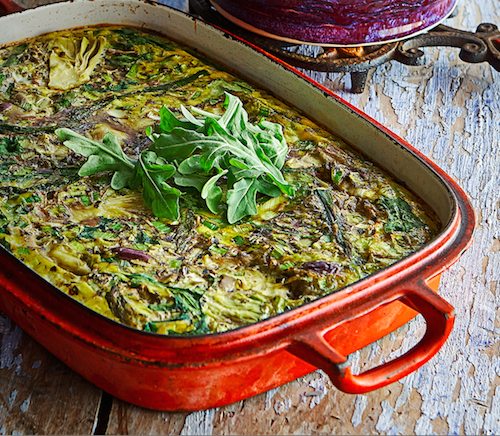 Try my delicious Hot Detox Frittata for breakfast, lunch or dinner! Are all eggs created equal? What do egg labels mean? Conventional eggs often don't have their harvesting practices labelled, and are usually the least expensive. In conventional systems, four hens are typically housed in two-square-foot battery cages, in barns containing thousands of birds. This makes them prone to injury and infection, so they receive antibiotics daily, as well as hormones to increase egg production. Their feed is unregulated, so they're often fed leftover animal by-products mixed with grain. Battery cages are banned in the EU and are often the subject of animal-rights debates. Free-run hens are not confined to life in a cage; they're allowed to roam the floor of the barn. They are still densely packed into these barns with no required outdoor access. Free-run hens eat the same feed as conventionally raised hens, and are given antibiotics and hormones. Pastured hens are kept in cages with at least two square feet per hen. The structure containing the hens is moved to different areas of the grass daily so the hens can forage for at least 20 percent of their food. They are also not allowed to be fed antibiotics or hormones in their supplemental feed. Hens must be raised from birth on organic feed that contain no hormones, pesticides or genetically modified organisms. 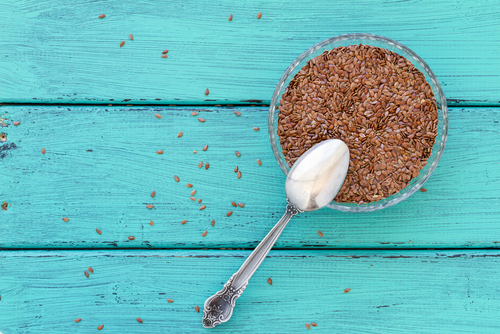 They must have outdoor access year-round; when they are kept inside, they must be fed organic sprouted grains. They must also be allocated at least two square feet of floor space per bird. Any food you are allergic to becomes inflammatory. You may want to consider food sensitivity testing for eggs to understand your body's connection to eggs. Need help with your favourite recipe? Another allergy option... try eggs from other birds! You could develop an allergy to chicken eggs and still tolerate eggs from exotic birds very well. Quail, duck, ostrich and emu eggs are becoming more popular at Farmers Markets and are often grown on small farms where the birds eat better and, therefore, supply healthier eggs. A good example, that's easy-to-find in Farmers Markets and Asian supermarkets, is quail eggs. 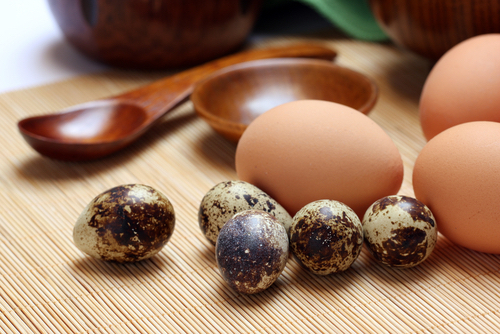 Quail eggs contain 140% of Vitamin B1, compared to only 50% in chicken eggs. Vitamin B1 (aka Thiamine) deficiency can cause optic neuropathology, a condition called Beriberi (involving neurological, cardiovascular and gastrointestinal systems), malaise, weight loss, irritability and confusion. Quail eggs are also higher iron and potassium. Iron is essential in binding to protein and carrying oxygen in the blood. Low potassium intake can present in the form of muscle weakness, muscle cramps and/or constipation. Vishwanathan R, Goodrow-Kotyla EF, Wooten BR, Wilson TA, Nicolosi RJ: “Consumption of 2 and 4 egg yolks/d for 5 wk increases macular pigment concentrations in older adults with low macular pigment taking cholesterol-lowering statins.” Am J Clin Nutr. 2009 Nov;90(5):1272-9. doi: 10.3945/ajcn.2009.28013. Epub 2009 Sep 16. Utterback PL1, Parsons CM, Yoon I, Butler J: “Effect of supplementing selenium yeast in diets of laying hens on egg selenium content.” Poult Sci. 2005 Dec;84(12):1900-1.